Does having a good manager matter? Home » Does having a good manager matter? 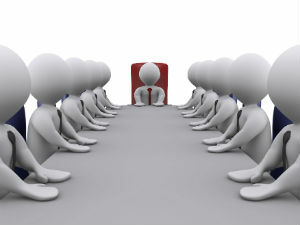 » Blog » Does having a good manager matter? Typically, a manager of a team or department sets the tone of the work environment. While managers should ideally guide, direct, and share information readily, this is not always the case. You might find that your manager always micro-manages or keeps an eye on you. He does not practice what he preaches; is egocentric, arrogant and does not listen! You may have many more such complaints. But complaining and discussing your frustrations, will only provide temporary relief without improving your work conditions. One success mantra is to accept people and situations. You cannot change people, unless they themselves choose to change. So instead of directing your energy towards negative emotions such as frustration and anger, identify the positive traits in your manager and choose to focus on those instead. Remember, each one of us has strengths and weaknesses. Focusing only on the weaknesses others traps you in ‘a blame game’ and prevents you from taking responsibility of your own life. It is best to accept your manager as a person with both good and bad traits that you cannot change. Many complain that our managers do not provide proper guidance. In such circumstances, it is best to take responsibility for your success. Talk to your manager about your needs and plans, take responsibility for certain decisions, and prioritize your tasks. Understand that your manager may also be facing certain difficult situations in his / her personal or professional life. Sometimes good people become bad managers when either they themselves do not have good managers or they are promoted as managers on performance basis but not provided proper managerial training. Although, this understanding may not directly help you to improve your situation, it will definitely help you think positively about your manger and approach the situation constructively. A manager, whether good or bad, should not affect your performance. Remember, each difficult situation makes you more strong and capable. The crux is to deal with your manager efficiently. If you don’t someone else will! Empxtrack Manager Services offers your managers a workflow to better track and handle subordinates by recording employee availability, performance and other details at regular intervals.